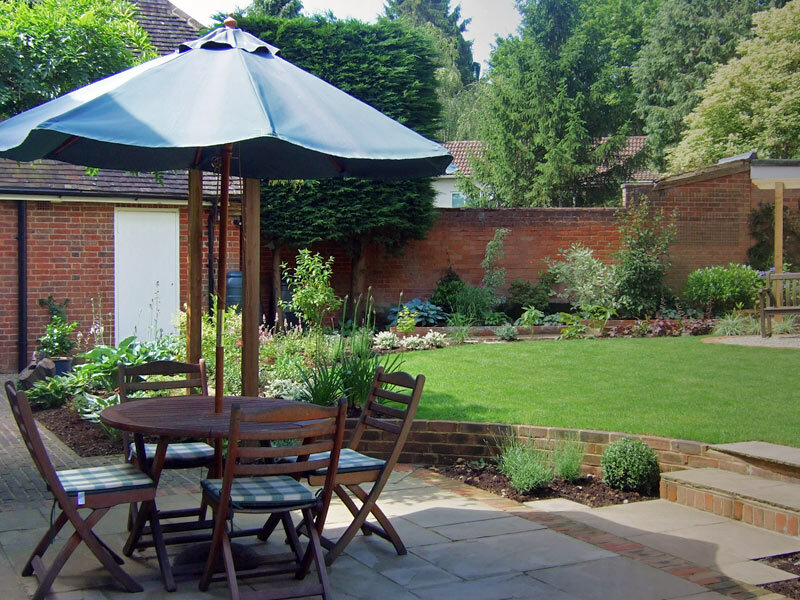 This delightful walled cottage garden was in need of restructuring. 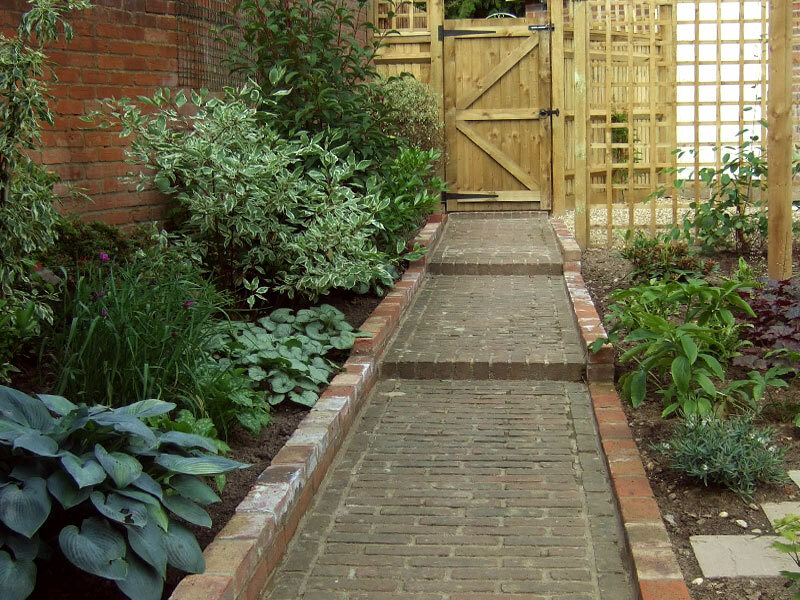 The existing stepped brick path was to be retained and this inspired certain aspects of the design. 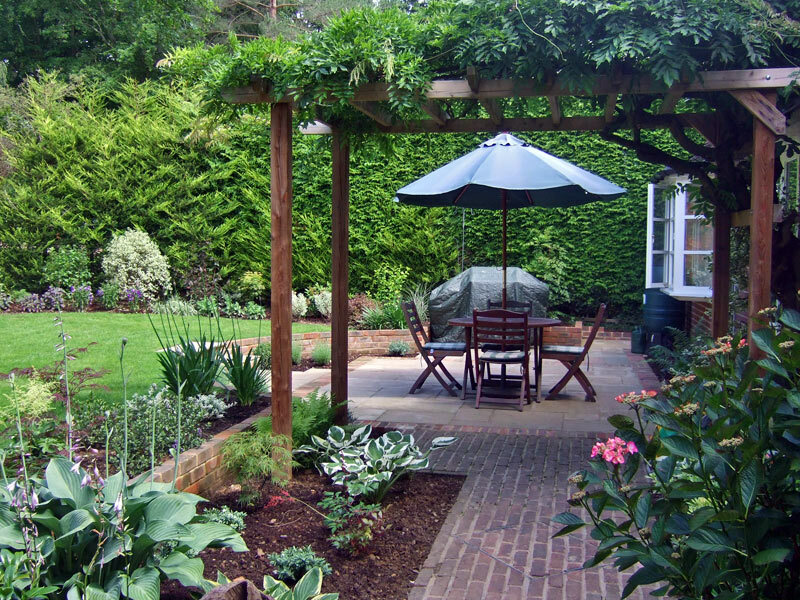 The original path was repaired and extended with a pergola added over the top to support a large wisteria that had previously been growing up the house. Shade tolerant planting frames either side of the path. The brick edging on a secluded sandstone patio and small gravel seating area visually links the new hard landscaping to the existing brick path. 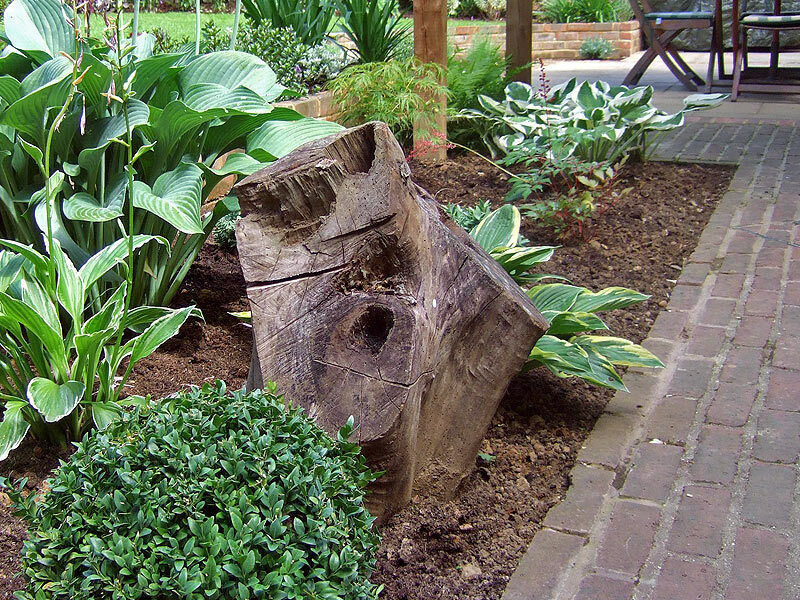 A small retaining wall has been built to push back the lawn borders giving a feeling of space along the path. The low retaining wall continues across the garden, levelling the lawn. New large curved borders are filled with sun loving shrubs and perennials. 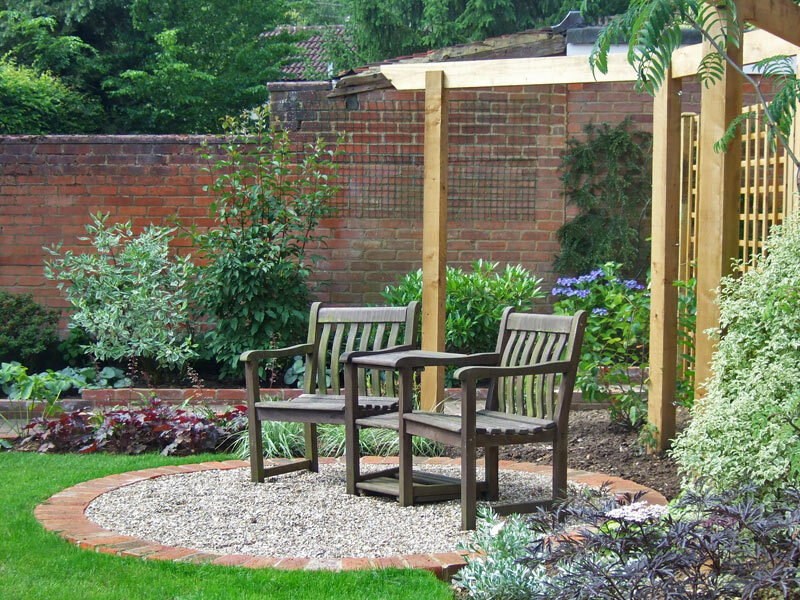 A trellis screen planted with climbers hides the garage and utility area to the rear.